Doddie'5 Charity Ride, raising funds to aid research into the causes and treatment of Motor Neurone Disease. Nigel Bruce, along with his partner,Marie Macaskill and his son Gavin Bruce, took part in the Doddie'5 Ride last Sunday; an open road charity cycle supporting the My Name’5 Doddie Foundation which is a charity set-up by Doddie Weir (one of rugby's most recognisable personalities who revealed in 2017 that he himself suffers from Motor Neurone Disease) raising funds to aid research into the causes and treatment of Motor Neurone Disease and also provide support to sufferers and their families. 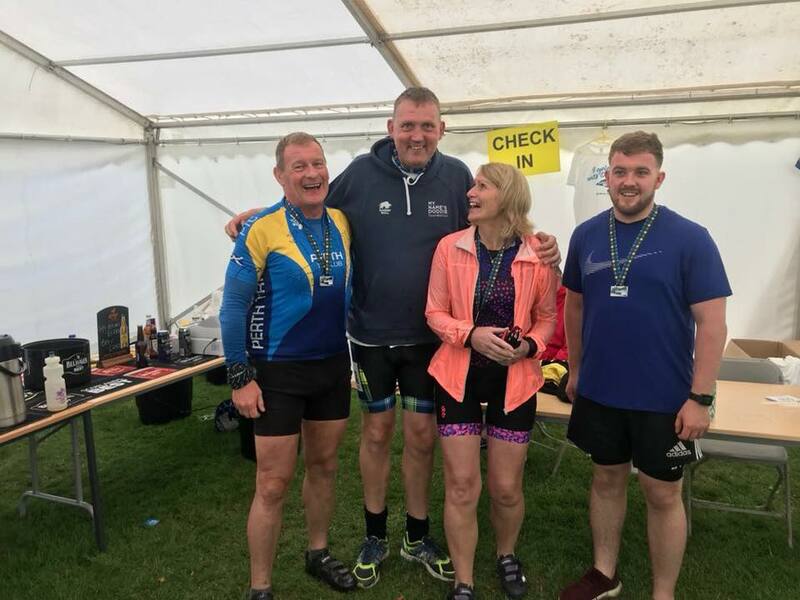 The trio completed the 60 mile challening cycle which started and finished in Melrose Rugby Football Club and all were still smiling at the end of it. Well done Nigel, Marie and Gavin on completing this challenging cycle for a very worthwhile cause.